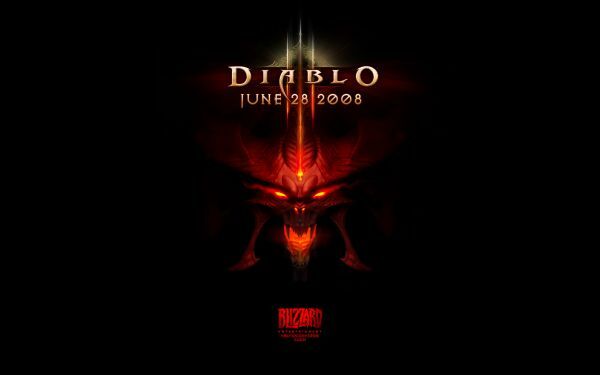 This is to commemorate the 2nd anniversary of the announcement of Diablo 3 on June 28th 2008. The diablo headshot this time around is by the artist Sansin using the program Zbrush. This amazing piece blew me away shortly past midnight on the 28th. The original version of this piece is here. Give him some faves and comments this is an amazing piece of work for a diablo headshot. I would have loved to have this back when i created my first headshot on the tail end of the first fiery runes series. Enjoy all and happy 2nd Diablo announcement Anniversary! Wow...Can you believe that? It's been far too long. "I want to say something but I'll keep it to myself I guess and leave this useless post behind to make you aware that there WAS something... "
"We're like the downtown of the Diablo related internet lol"
lol yeah hopefully by the 3rd year we'll be playing something, if anything ATLEAST the beta.